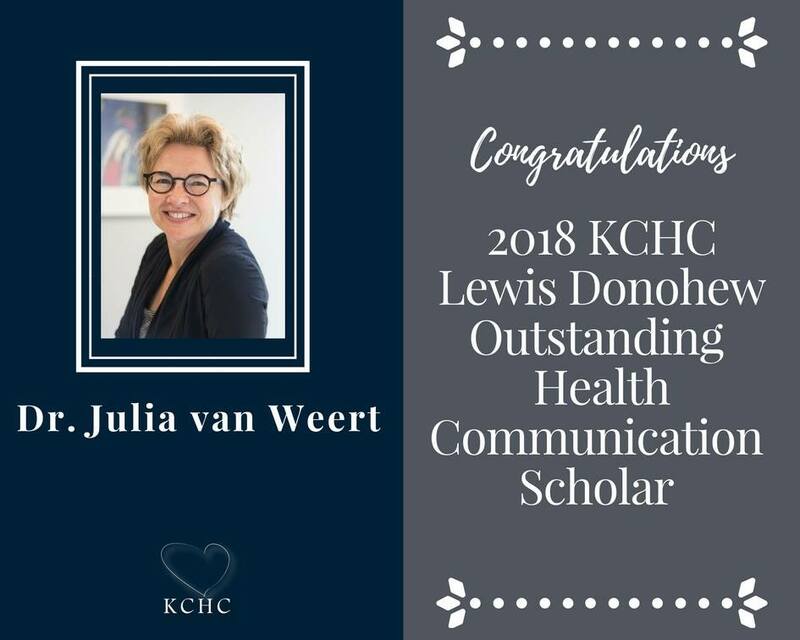 Published on February 23rd 2018 – Professor Julia van Weert will be awarded the Lewis Donohew Outstanding Health Communication Scholar Award during the 2018 Kentucky Conference on Health Communication (KCHC). The award was established in Dr. Donohew’s name in 1998 to recognize outstanding research contributions to the health communication field made during the biennium preceding each conference. The list of award recipients includes some of the most highly funded and recognized communication scholars in the world. Van Weert is the first non-American to obtain it.